6 - 9 grade online test with direct evaluation. The "General History Test" is a free online knowledge level test, about the subjects of History Science. This test include 18 fun questions from different history subject, to determine an overall base level of history competences. A small 18 steps interactive test for desktop computers, laptops and tablets, which may be solved online and recieve a school mark. The test is part of the Interactive History Monuments educational tools and include integrated evaluation system. It is cumulative with the History Tree Game. 6 - 9 grade history classes for evaluation lessons. How to play General History Test. The questions appear under the current round icon. Read them carefully and select one of three answers in white letters. Only one answer per question can be correct. Some questions have more than 1 correct answer. Here are all the questions in the general history test, with their possible answers. Solve the test online to see which answers are correct and recieve a school mark and new knowledge level. 1. Which of the folowing is releted to history study? 2. Which of the folowing is releted to history study? 3. Which of the folowing is history discipline? 4. Which of the folowing is releted to history study? 5. When was the wheel invented? - Middle East to Europe. 7. Which of the following impacts world history? 8. Which of the followin is studied by regional history? 9. When have World War 2 ended? 10. When did the Black Tuesday Wall Street Crash happen in America? 11. Who of the following is an artist? 12. Who of the following is a musician? 13. Which of the following is the newest found religion? 14. Who of the following is a scientist? 15. Who of the following is a president? 16. Who of the following is an inventor? 17. Which of the following is an ancient world wonder? - The Great China Wall. - The World of Warcraft computer game. 18. Who of the following is a historian? 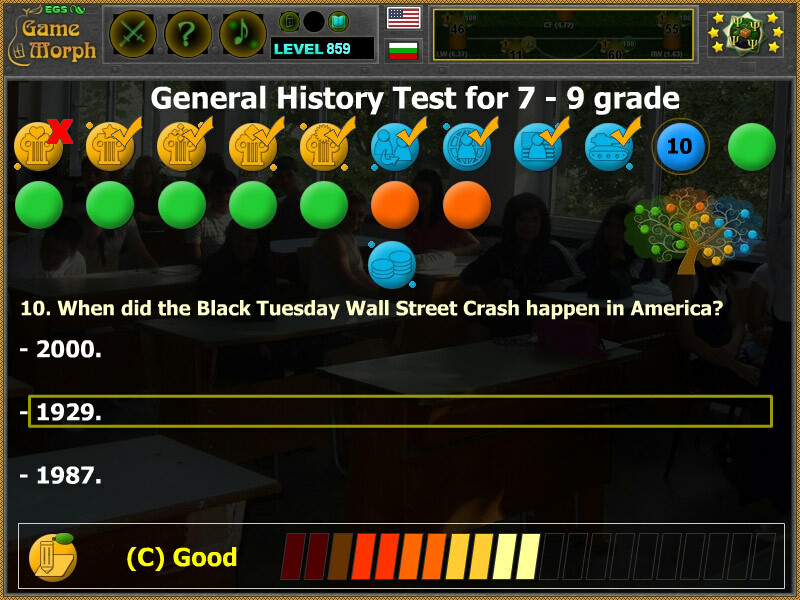 Labels: History Tests , Test Games , Flash Games , Knowledge Games , Education Games , Free Online Tests.